As I’m sure you’ve noticed, dogs come in all sorts of shapes, sizes, and colors. In the canine world, purebred pups are actually relatively rare as the mutt definitely dominates doggy town. With over 340 dog breeds, when it comes to mutts and their offspring, it’s like Forest said: You just never know what you’re gonna get. But, it’s not a box of choc-o-lates here. Generations of crossbreeding make it nearly impossible to anticipate what traits a mutt puppy will have. There are literally a thousand possibilities when it comes to his shape (including bone structure), size, color, and coat pattern. So why do those of the feline persuasion, on the other hand (or paw), come in such relatively limited models? Who knew, but within the 63 cat breeds that exist—not including the growingly popular hybrid breeds—a mere 7 genes determine the world of cat coat patterns. Yes there is a relatively limited selection of cat designs to choose from, compared to “man’s best friend” –wow, I hate that term— but the good news is, occasionally these 7 rocking genes create something unexpectedly amazing, something that is taking the internet by storm, and giving cats the super stardom they deserve. I’m talking about coat patterns responsible for the squad of cats with perfectly sculpted mustaches, beards, eyebrows, or even permanent facial expressions and outfits. And who the f*ck doesn’t like a cat whose coat gives him a permanent mustache and kitten mittens? Okay, so back to geeking out. 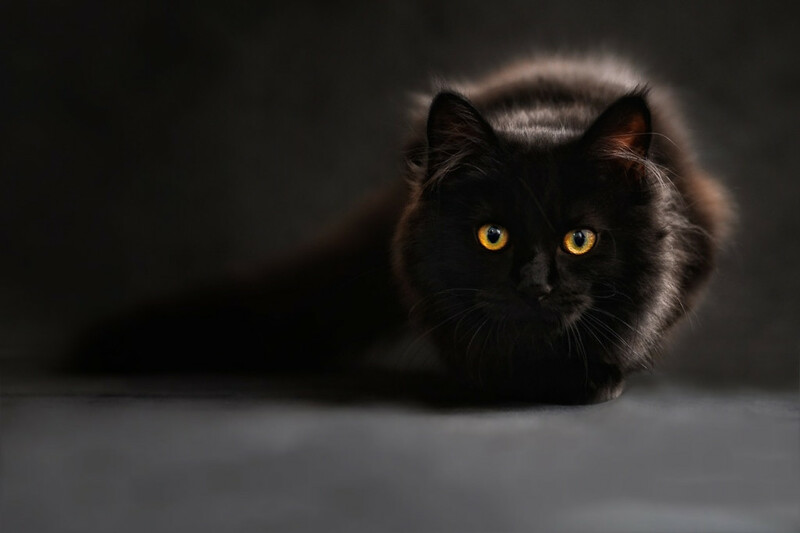 The B gene dictates the pigment that makes a cat’s fur black, known as eumelanin. It comes in three alleles, or types. The B allele that produces black fur is dominant, so in normal person speak: a cat needs a B allele from only one of its parents to be black. There are 2 other recessive alleles of the B gene, which produce chocolate and cinnamon coat colors. The A gene dictates a cat’s ticking or banding of colors on his coat. A, the dominant allele, produces the fur pattern that helps create what is commonly referred to as tabby pattern. The recessive allele, a, makes the cat’s fur a solid color from tip to root. 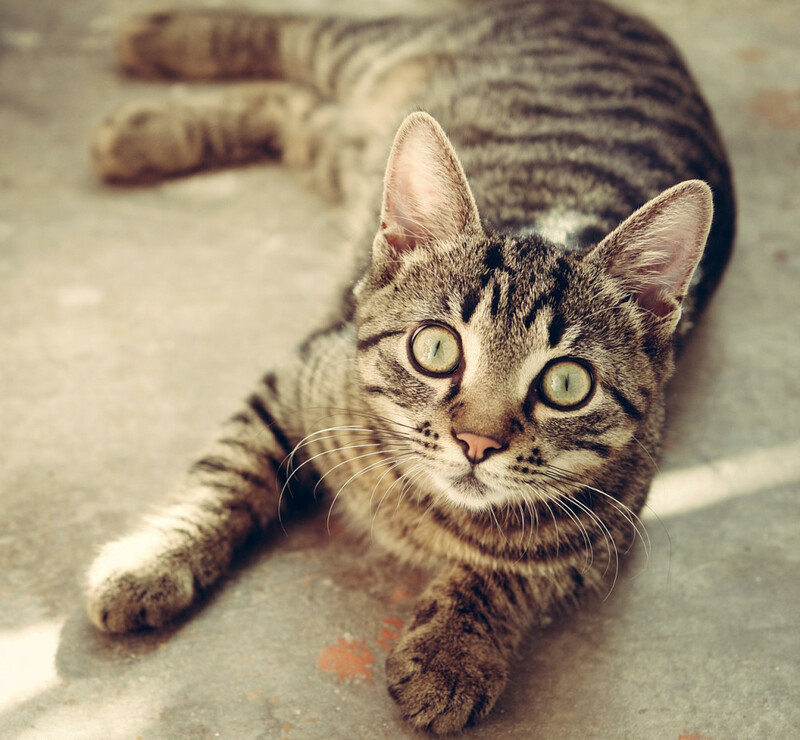 Cats that inherit the A allele, rely on the T gene to determine their type of tabby pattern. The T allele is dominant and produces the mackerel, or striped, tabby pattern, while the Ta allele produces an all-agouti tabby (ticking or banding of colors). The recessive tb allele produces the classic, or blotched, tabby. The dominant D allele produces cats with coats that are a full-pigmented, black, brown, or orange. 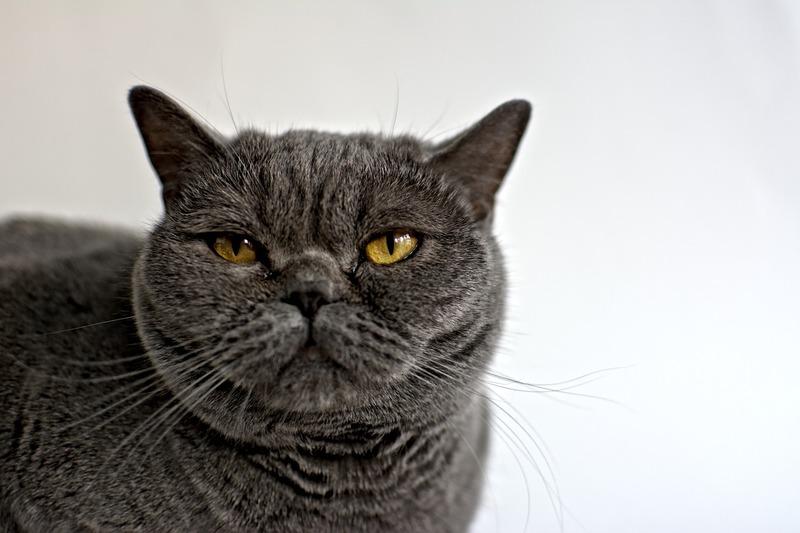 The recessive d allele creates paler colors, such as gray—commonly referred to as “blue” to cat breeders (think Russian or British Blues). The d allele also produces paler coat colors like tan or cream. The O gene can sometimes mask other coat colors, even black. 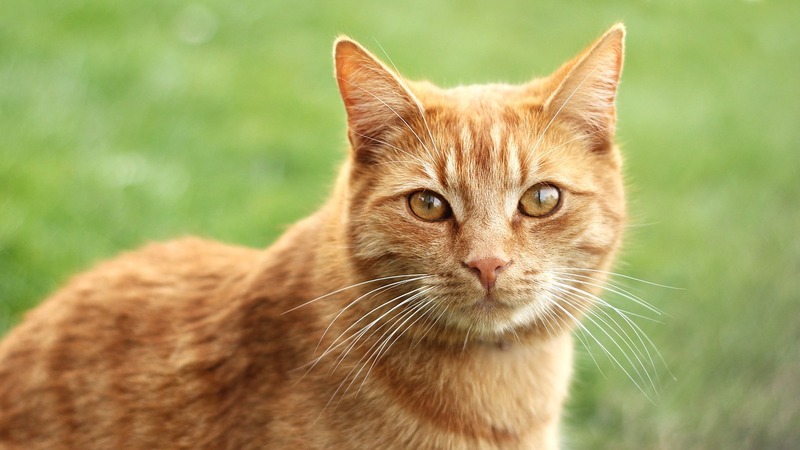 The o allele is not the most common of alleles; however, if a cat gets the dominant O allele there is an extremely high chance that he will be orange and any other possible colors will be masked. The S allele is the culprit responsible for those lovely cat stashes we’ve been talking about. Dominant S creates white spotting that covers up the cat’s true color. 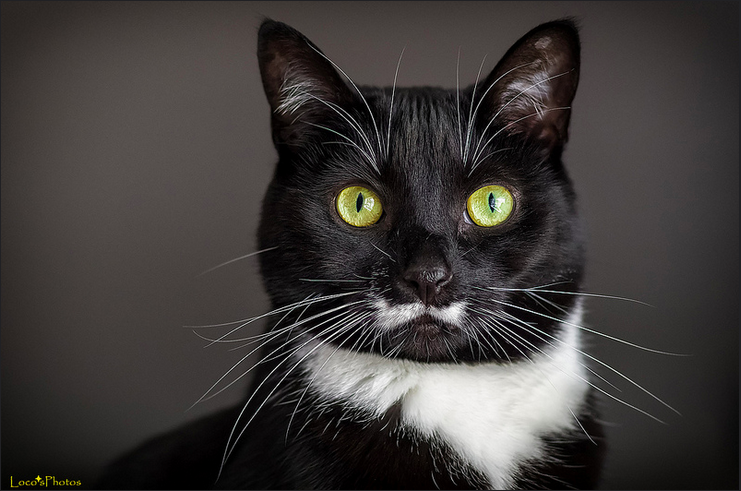 Again think of cats with mustaches, beard, and eyebrows as well as tuxedo cats, cow cats, and cats with white boots or mittens. S can even produce totally white kitties, which are just one giant white spot! Cats with the recessive s allele, which is the most common appearance of the gene, produce kitties with absolutely no white fur. Similar to the O gene, if a cat has the dominant W allele then he will be all white, despite his other coat color and pattern alleles. Only if a cat has the recessive w allele will his other coat color and pattern alleles make an appearance. So you’re probably thinking how can one tell if your white cat is truly white thanks to his W allele, or if he has a giant white spot thanks to his S allele. Am I right? 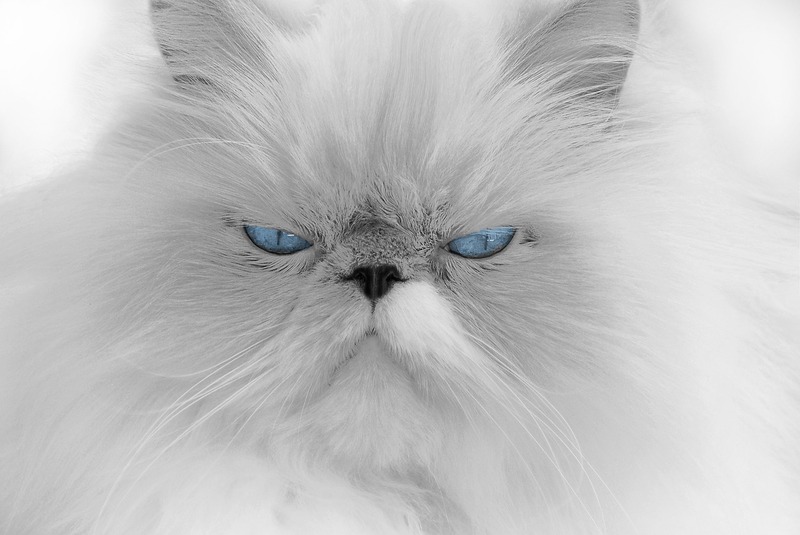 If not, I’m gonna tell you anyway: White cats that are white thanks to W have pale blue or orange eyes, while white cats that are a walking white spot because of the S allele will have green or yellow eyes. 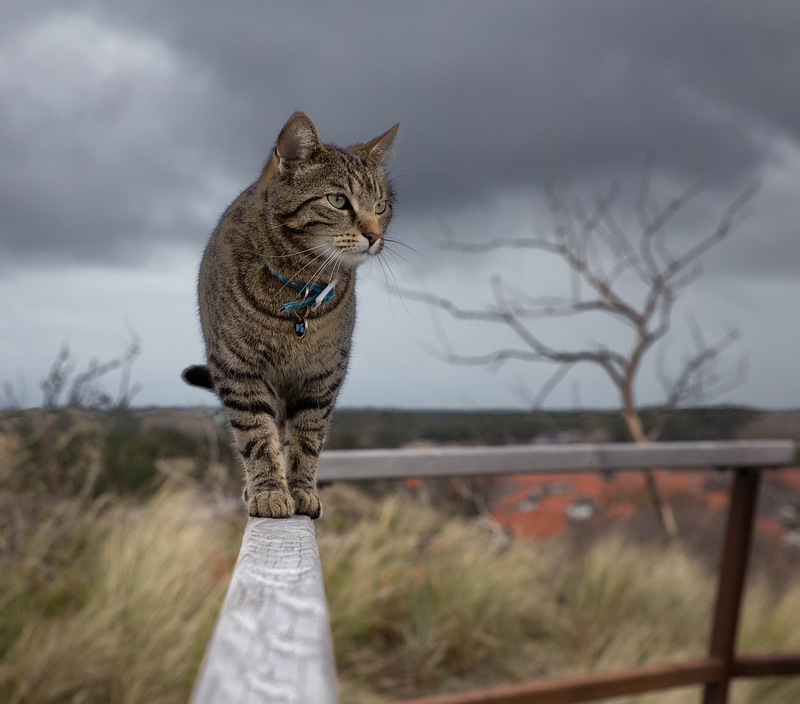 These 7 genes are rulers of cat coats, but there are others that control other cat characteristics, such as the length of fur, type of tail, body type, shape of face and ears, etc. But that’s for next time my cat-loving friend. I know the suspense is killing you.